How do museums and other cultural organizations identify exactly how big their digital teams should be, how they should be structured, and where they should sit in the organization? And how do they define and measure digital success? We surveyed 56 GLAM organizations across the world to find out some of the answers to the questions that digital leaders are asking right now. In this paper we examine how these organizations are re-configuring their digital teams to define and drive success, and identify the patterns that are beginning to emerge. We explore the changing structures and relationships that digital teams have with colleagues, and what this means for digital responsibility in the organization. We include key insights and practical advice to help organizations of all sizes understand how best to structure their digital teams—by revealing what works and what doesn’t—and help them identify the skills needed. Through a series of interviews with colleagues across the UK, US, Canada, Australia, New Zealand, and Europe, we explore how digital leaders are re-defining the role and mandate of a digital team. Our findings reveal that none of us have yet embraced full digital maturity. The majority are still using a centralized model, but aspire for digital to become distributed across the organization. Yet that won’t happen until we tackle a significant underinvestment in digital skills (most notably in data analysis and technical leadership), and until we begin to set—and measure—realistic objectives for digital success. This study presents a global picture of how digital is being shaped in museums, and conversely, how it is shaping our museums and cultural institutions today; we suggest next steps in helping organizations on their journeys to digital maturity. That kind of paralysis is more familiar to digital leaders than we care to admit. Having to make decisions on where and how much to invest in digital can be daunting; what does digital success look like? What core skills can be drawn on? What skills need to be hired in? Where will the funding come from? What will the return on that investment be–especially if it can’t be straightforwardly measured in visitor numbers or commercial activity? We surveyed 56 GLAM organizations across the world to find out some of the answers to the questions that digital leaders–and others– are asking right now. How big should a digital team be relative to the size of the organisation? How should a digital team be structured? Where should a digital team sit in the organization? What should a digital team be responsible for? How much to invest (in operations and salary budgets)? How to measure return on investment in digital resource and activity? How to measure digital success? From the 56 institutions that responded to our survey, 64% of responses were from museums, 8.6% from libraries, and 8.6% from performing arts venues. The remainder were from a diverse set of multidisciplinary institutions. Most respondents were from the UK and North America, with the remainder from Australia and Europe (and one from Brazil). We followed up with ten in-depth interviews with digital leaders from a number of international organizations (nine museums, one library), supplemented with desk research of the limited range of literature around digital team structures in GLAM organizations. Our glossary of terms and methodology can be found in Appendices 1 and 2. We examine how museums are re-configuring their digital teams to drive—and define–success, and identify the patterns that are beginning to emerge. We explore the changing relationships digital teams have with colleagues, and what this means for digital responsibility in the organization. We look at these issues through the lens of digital maturity models, and map team structures onto segments of Forrester’s Digital Maturity Model (Forrester, 2017) to help leaders better understand how structuring their teams can support the journey towards digital maturity. There are two groups who will be interested in our findings. Our peers, while very familiar with the issues and opportunities we discuss below, are now armed with evidence to make the case for change in their organizations, and better understand how to structure digital resource to deliver impact. Our research will also support those who are building digital teams from scratch or through organizational restructure. We hope the findings and the related insights and advice will help them avoid some of the pitfalls we’ve all encountered in structuring digital activity for success. Many of us are struggling to define and set well-defined objectives for digital success–be they around digital engagement, digital transformation, or driving income, for example—and, if we do, we aren’t always measuring them. Most of the organizations we surveyed are operating with a centralized model for their digital teams, but aspire for digital responsibilities to become more dispersed across the organization, a key marker of digital maturity. Funding continues to be an issue, as does remuneration. This short-sightedness, we argue, is holding back—or at least slowing down—our digital evolution. Our findings reveal that GLAM organizations are continuing on the journey towards digital maturity. Yet none of us have embraced full digital maturity. That won’t happen until we tackle a significant underinvestment in digital skills—most notably in data analysis and technical leadership. Ironically, these are cited by our respondents as the two most important skills for any digital team. Alongside the key insights from our survey, we have included advice from the authors and those who contributed to the survey. This, we hope, will help those in GLAM organizations understand and address some of the key barriers to and opportunities for delivering digital success. While we don’t propose to share here a potted history of the cultural sector’s digital exploits since the 1990s—and even earlier—it’s useful to reflect on how that history has informed the configuration of today’s digital teams and digital provision within our cultural organizations. Digital roles originated in a variety of departments and divisions from within; others were brought in to deliver discreet projects from outside. Some digital initiatives were led by a senior person with a vision, while others developed more organically, when groups of colleagues from across the institution were able to demonstrate the value of their work. These initiatives in the early days were often digital manifestations of the physical: the “virtual museum,” for example, was a popular term for museums’ (mis)adventures online. As the funding, workload, and importance of digital work increased, many organizations developed strategies to bring together the disparate digital resources into a centralized department or team in order to strengthen the cohesion of their digital output. These teams, usually consisting of staff from a variety of backgrounds, had titles such as “New Media,” “Online,” and “Web” (some of which linger on today). The team’s reporting line often depended on where they originated in the organization. Teams have continued to evolve somewhat organically over the years, deepening expertise in certain areas and growing in numbers. With the rise of the centralized digital team, many organizations have demonstrated their commitment to digital by placing it at the heart of their vision and high-level strategies. However, due to the funding structures of many GLAMs and political myopia, it can be a challenge to set out a long-term digital roadmap and stick to it. Pressure to sharpen up our digital game is also mounting from those that support the cultural sector. For this year, Arts Council England National Portfolio Organisations receiving over £250,000 per year will need to have a digital policy in place and demonstrate how digital is strategically embedded across the work they do. The Arts and Humanities Research Council (AHRC) have recently funded a £500,000 research project led by the University of Leicester to design and test a practical digital literacy framework for the UK museum sector. This project, called “One by One,” started in September 2017 and is challenged with addressing the lack of digital skills within museums and other cultural organizations (Malde, 2017). The timing is critical: digital skills and literacy are cited as one of the major barriers to digital ambition and growth within the sector (Nesta, 2017). The paucity of literature in this area points to an urgent need for our study. A cursory google for “how to structure a digital team” will reveal that existing material is more focussed on structuring digital marketing teams. (Some even use horrendous terms like “marchitecture.”) It does not provide a holistic view of digital, and is of limited use for those working in GLAM organizations with responsibility for a broad range of digital functions. This is typically one person with responsibility for managing a number of freelancers and agencies. This is a model more commonly used in smaller organizations with varying sources of funding. Commissioning digital development externally gives the organization more choice in agencies or freelancers, without the overhead of permanent staff. The work is typically well documented and will draw on insights from outside the sector. However, more choice doesn’t necessarily mean better; you may be paying more for an agency that typically has a high turnover of staff and doesn’t understand the sector or its audiences as well. For this model to succeed, it requires a very strong individual or small team to commission and manage a portfolio of products across a variety of areas. Individuals or small groups of digital staff are dispersed across the different departments across the organization. In addition, functions could be devolved across the organization. One example is where staff have responsibility for the delivery of social media alongside non-digital work. Though, typically, this is a relatively unstructured model. Decentralizing the digital team helps to instill a sense of ownership over digital activity, potentially leading to a higher digital literacy across multiple departments. However, the lack of a single digital leader, vision, and values may lead to disparate and uncoordinated activity. Staff are located in one department, with oversight and control of the digital activity in an organization. Usually, this means a multidisciplinary department, which may consist of multiple teams depending on the size of the organization. A centralized model delivers a more coordinated output, due to single management (and often location) of resources. The model leads to a strong vision, more editorial control, and more accountability. However, without proper communication and cooperation, this model risks a silo mentality and can hinder digital skills development elsewhere in the organization. Usually a small central unit that coordinates individuals or small teams in the delivery of digital activity across other areas of the organization. Staff in the non-digital departments may report to more than one department head in a matrix structure. This model allows for a central vision and strong editorial control whilst involving other departments in digital activity. It also helps to build a comprehensive digital literacy in the organization. Because there can be conflicting priorities between the hub and other departments, the model depends on good coordination and cooperation between many departments. This model is achieved by a digitally mature organization that intentionally distributes digital activity organization-wide. A digital leader will have a cross-departmental view of digital activity and a means for coordinating and delivering across a number of departments. This is an aspirational model for most organisations, as it differentiates them from others in terms of ambition, investment, and execution. However, if the organization hasn’t undergone necessary transformation to get to this stage, digital activity is likely to be uncoordinated (and more like a decentralized model). We believe there is value in looking at different digital maturity models to help digital leaders understand some of the behaviors that define each stage, and indicate where teams must focus in order to support their digital evolution. Digital maturity modeling is a relatively new concept. Its emergence demonstrates the challenges for organizations of all types and sizes in achieving digital transformation. Maturity modeling can help the organization to reflect on its practice, analyze its challenges, and contextualize its progress. While many models are focussed on commercially driven organizations and—at first glance–not so relevant to the GLAM sector, we believe that an understanding of the challenges and opportunities identified in each stage of the maturity model can help any organization identify how digital can support support success. And, while not the only driver, generating income is becoming a greater imperative for many GLAM organizations. We researched several models for the assessment and classification of digital maturity within an organization. Kane (2017) captured data from 3,500 managers as well as 15 interviewees to rate the digital maturity of the organizations as “early,” “developing,” and “maturing,” and provides approaches to achieving digital maturity. Like many other digital maturity models, Kane cites cross-functional teams, long-term strategies that align with organizational mission, starting small, attracting the right talent, and having strong leadership as key markers of more digital mature organizations. This paper, however, does not provide any definitions for the proposed segments, nor guidance to help self-assessment. TM Forum’s Digital Maturity Model (Newman, 2017) measures against a number of dimensions and, interestingly, asks a range of people across the organization to assess against them (not just digital teams—something that we will consider for a future study). We believe there are valuable aspects of this model, but its focus is communications service providers—very different types of enterprises to GLAMs (given they are already in disruption and rely on huge capital investment). There is clearly a demand for digital maturity modelling right now. Many of the big management consultancies have their own products and approaches to benchmark digital adoption. For example, McKinsey (2017) measures a digital maturity across strategy, culture, organization, and digital capabilities to determine a Digital Quotient® and provide a framework for running digital transformation. Accenture (2017) has compiled an analysis on how nonprofits use different approaches and digital tools to increase innovation, production, and impact. There are other models that are geared towards specific sectors, such as nonprofit, which could warrant further investigation by GLAMs who are interested in establishing their digital maturity. The model we’ve chosen for this study is Forrester’s Digital Maturity Model 5.0 (Forrester, 2017) as we believe the behaviours and strategies for the Forrester segments are relevant and relatable to GLAMs. It pertains to a broader set of organizations than just marketing and communications and service providers, and it provides actionable advice to support organizations at each stage of their digital evolution. Forrester (2017) states in its Digital Maturity Model 5.0 that a company’s digital maturity is determined by four dimensions: Culture (approach and employee empowerment); Technology (use and adoption of emerging technology); Organization (alignment of the company to digital strategy); and Insights (use of business intelligence to inform strategy). Companies fall into one of four maturity segments (figure 6). These segments provide the business with a starting point for setting out a strategy for achieving a higher level of digital maturity. Skeptics tend to be more conservative in their uptake of new technologies: their business model will not focus on digital products or services, and will use more traditional forms of marketing. Strategies for change will depend on having digital champions in their midst and their ability to lobby senior executives, develop small campaigns that demonstrate value, and provide a space for testing new ideas. Adopters have embraced digital, but progress is slow and in silos. Technology projects are happening in various places, but are not necessarily connected, or using a long term strategy. Strategies for developing digital maturity include building digital talent, setting internal goals for digital, and disrupting internally through building and testing products quickly. Collaborators have already invested significant revenue into the digital business, but still have work to unify the customer experience across the organization. While they are competent at managing digital projects, they still must become more advanced in how they spend their advertising budgets and apply data and analytics to optimize areas of the business. Differentiators already achieve a high level of mature digital business by integrating their marketing, customer experience, and insights teams to create customer-centric experiences. They build multi-skilled teams and rethink large-scale processes and roles; they tend not to differentiate between digital and physical experiences; and they include customers in the creation of products and services. These types of models are built around competition and understanding your place in an evolving market—they set goals that require a high level of ambition. However, not all cultural organizations are customer-focused, and not all exist in competitive markets (for example, they may have legislative or statutory, development, support, or advocacy roles). But that doesn’t mean that they shouldn’t set ambitious visions for digital. We believe that there is value in GLAMs assessing their digital maturity levels, even though they are less likely to think of their audiences as customers (apart from commercial enterprises that may exist within GLAMs). While terms like “differentiator” may feel less relevant to certain GLAMs, the commercial imperative is growing in importance for all types of organizations, but with varying degrees of emphasis depending on the levels of competition. The digital maturity of an organization can determine its current level of investment in digital, the cultural challenges it faces, its ambition, and how it proposes to reach a more holistic experience for its audiences. This is why we believe the Forrester model is relevant to cultural organizations. Our survey covered 56 institutions, 64% of which were museums, 8.6% were libraries, and 8.6% were performing arts venues. The remainder were mainly organizations that had a mix of different functions. Most respondents were from the UK and North America, with the remainder from Europe and Australia (and one from Brazil). The majority of responses—nearly 80%—were from small (43%) and medium-sized (36%) organizations. 19% were from organizations of over 500 people, and the remainder were from very small organizations. We did not ask for the roles of the individuals that responded on behalf of their organization. We assume most are digital workers, but some may not necessarily work in digital roles or teams. More than 80% of responses were from organizations that have ten people or fewer working exclusively on digital activity. This question was amended after going live to clarify that it refers to digital as a centralized activity, as well as for hub and spoke, and other models. However, given that it had 56 responses, most people responded to this question, so it gives more of a sense of how many people organization-wide (whether in a centralized team of some form or not) are supporting digital activity. After going live, we also added another question to find out more about resourcing in the devolved model. Over three quarters of the organizations who answered this question (17) had one to five people working exclusively on digital activity. Interestingly, the second biggest percentage is for a relatively large number of people–ten to 20—which may imply the devolved model tends to involve more people than a centralized model. The majority—74%—of our respondents disagreed or slightly disagreed with the statement “The digital team is adequately sized relative to our ambitions,” with an almost even split between the two (21 and 22 responses respectively). While four respondents gave a neutral response, 19% agree or slightly agree. Interviewees noted that there are a number of dependencies regarding the size of the team, such as the digital maturity of the organization, its funding models, how the organization defines digital (e.g. whether it includes IT or social media) and its overall size. Most of our respondents agreed, quite sensibly, that the size of the team depends on essential skills and experience required by the organization. There is no perfect ratio to determine optimal size for a digital team relative to the size of the organization. The majority of our respondents feel their digital activity is not adequately resourced relative to the organization’s ambition. Three quarters of the organizations we surveyed cited a lack of digital resources. We suggest that digital leaders work with colleagues across the organization to define ambition, and work out resourcing accordingly. This will be dependent on the range and number of functions the digital team is responsible for. Breaking resource requirements down, and mapping these against organizational priorities, will not only identify resources required, but will also help build the case for any additional investment needed to adequately resource these areas. We asked our respondents to describe their team and, if possible, supply an organization chart of their department. However, it was difficult to pull out any tangible patterns or themes from the submissions. This points to the variety of organizations we surveyed, but perhaps also to a lack of strategy or planning in the establishment of digital teams. 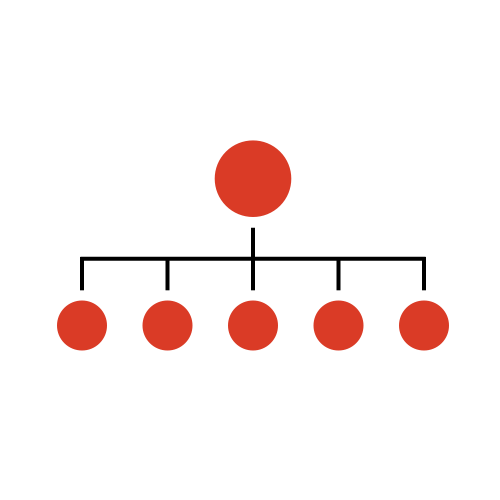 Digital content is king: Whatever the size of the team or the staffing structure, content producers are a vital and core part of the digital team and within many devolved structures. It’s all about the product: Large digital teams (15+) tend to have two common functions: content (which may include traditional media, editorial) and product (which includes development, UX, product management). Medium teams (five to ten) tend to have similar split, but with less product management capability. Matrix reloaded: It is common for larger GLAM organizations to have a matrix structure—for example, departments may be split across different sites and functions (such as Learning or Marketing). Our survey and interviews reflected the growing adoption of Agile development methodologies, where a mix of different functions come together to deliver a product or customer goal. Socially adept: Many of the organizations have a marketing or communications function that has ownership of social media. However, there can be a benefit for social media sitting in a digital team rather than a dedicated marketing team, in that it’s more likely to benefit the organization as a whole. Baggage allowance: Some digital team managers have acquired extra responsibility (for example, Publishing, IT, or Visitor Experience), perhaps due to a recognition of digital as an important strategic area. One emerging trend, for example, appears to be the shift from digital being a subset of the marketing function to marketing as a subset of digital (e.g. the UK’s National Gallery and Natural History Museum). The digital team’s output should should reflect institutional goals and priorities. Small, user-focussed product teams that are empowered to self-form and deliver business goals are becoming more prevalent. The structures of digital teams are evolving as they draw in other functions, such as marketing, visitor experience. and publishing. 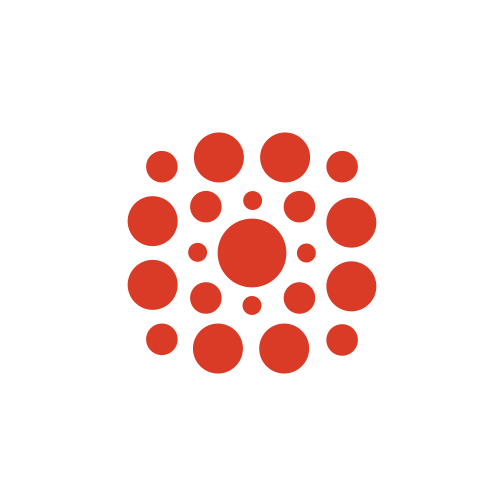 Developing a product culture (see glossary) within digital teams can help ensure they are more embedded across the organization, working in cross-functional teams, and developing strong connections to teams and leaders outside the department. Adopting the Agile principle of “inspect and adapt,” digital teams should recognize the need to evolve to reflect changing organizational priorities and user needs, and must avoid becoming stagnant. Smaller organizations with minimal digital resources will need to rely more on outsourcing. They must recognize the breadth of knowledge and experience required for good content, digital development, and design commissioning. Given this will often rest on one role, it is vital to nurture and invest in developing a broad range of skills across digital marketing and advertising, editorial, digital development, product development, and user-centered design. Where does digital activity currently take place? 26% have a central team that looks after all activity (centralized). In other words nearly three quarters—74%—have a central team of some sort. The third most likely scenario (26%) is a number of individuals or teams working across the organization using some form of devolved approach. just over a third of respondents (36%) report directly to the head of the organization. When we asked our respondents how much they agree with the statement “The digital team sits in the right place within the organization structure,” the overwhelming majority (83%) are happy or neutral about where they are located. 17% slightly disagreed or disagreed with the statement. This implies that either most organizations are making a strategically sound decision on where digital should be located, or that most digital professionals feel comfortable in their location within the organizational structure. There might, of course, be a bias here, given that most respondents are likely to be digital workers, and may have a different opinion to their colleagues on this matter. When asked “Where should a digital team sit within the organization?” not surprisingly there were a range of views from our respondents. This is a good point. The answer, of course, depends entirely on the vision and strategic goals of the organization. The location of digital activity to a large extent depends on what is considered to be “digital”—whether that is social media, marketing, or education (for example). Some of our respondents described the GLAM sector as “way behind other sectors” in prioritizing and elevating digital work. This isn’t necessarily a view shared by all respondents—however, some organizations are clearly struggling. It is vital for these organizations—as any organization—to have digital knowledge and understanding right at the top of the organization, among the senior management team, and among the board of trustees. Interviewees supported the idea that a centralized or hub and spoke model will continue in the medium term due to some of the specific skills required for digital development, e.g. product management. The goal, however, is to decentralize—in fact, all see this as inevitable. However, there are certain risks in devolving digital that need to be managed, such as improving digital literacy and managing redundant skill sets. Most digital leaders understand that through building capability elsewhere in the organization, some digital functions will be transferred and absorbed into day-to-day work. However, there are core digital functions that will continue to require specialist knowledge which will remain as a core, even in a holistic model. Our interviewees agree that digital should report directly to the top of the organization, to better support strategy and decision making, engaging other leaders in digital activity, and in driving organizational change. Given that most agree or slightly agree that they’re in the right location, we suggest that organizations themselves are best placed to decide where digital should be located and are, for the most part, making the right decisions on digital ownership. There are merits for digital being located in marketing or communications if engagement is the end-goal for digital. However, the risk for digital as a subset of the marketing function is for it to be simply regarded as a channel or platform for marketing and communications activity. If the goal is business transformation, for example, merging digital with IT departments or a central digital team reporting into the executive team are more likely scenarios. Having a vision for digital and defined success metrics will help identify the right location for a digital team, or teams. The most likely functions for a digital team are content, social media, digital design, and development. The next most likely functions are clustered around marketing (digital marketing and advertising, ticketing and e-commerce), product and data management, in-gallery experience, and digitization. These are clearly high-priority functions for many organizations. But they are not necessarily represented in every centralized digital team. Similarly, less well-represented functions are likely to be managed elsewhere in the organization—they may be lower priority for centralized teams, but higher priority when considered organization-wide. More devolved teams will draw on particular skills that may not reside in a typical digital team (digital humanities expertise, audio visual services, and systems expertise, for example). The results, here, point towards functional priorities for centralized as well as devolved teams. The results may also speak to some functions—notably product management and data analysis/data warehousing—being relative newcomers to the digital team’s responsibilities, that will likely grow in importance in coming years. We asked our respondents which skills they believed to be underrepresented on their teams. We were not surprised to see data at the top of this list of most underrepresented skills. 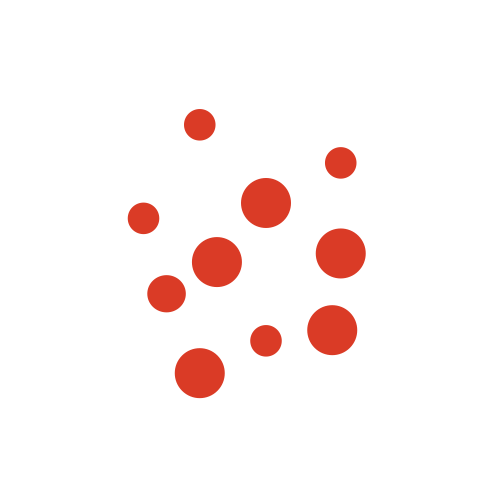 We know from experience how difficult it is to resource and recruit for data analysts, people with a deep understanding of Web (and other digital) behavior, who can draw insights from data, and articulate them in compelling ways. But they are a vital part of any digital operation. The need for always-on data analysis will only grow. Web and app development is among the most underrepresented of skills, but this is an area that is likely to be outsourced, typically by smaller organizations and by those that follow project cycles rather than having a product culture. Robust digital development relies on strong technical leadership, so it’s of concern that this is the third most underrepresented skill on the teams we surveyed. Investment in data analysis and management skills is a key priority for all organsizations, and will only continue to grow. Though challenging, digital teams must grasp the data nettle. Technical leadership and Web/app development are also underrepresented, which points to another area ripe for investment if organiszations have an appetite for developing a product culture. Design skills are underrepresented yet should be a priority for all organisations. Digital design expertise is essential to delivering good user experience, and requires a solid understanding of how brand experience manifests itself digitally. IP and rights management are also areas that are underrepresented. This might point to the growing complexity of the rights landscape, and are therefore areas all teams must invest in. The skills that are “least underrepresented” perhaps point to good resourcing, or to being resourced elsewhere in the organization. Alternatively, these skills might be easier for people to acquire, such as social media or content production. This by no means underplays their importance; it just indicates that they are less specialized skills than data analysis or Web development, for example. The above skills might be lacking on many digital teams, but they may not necessarily be regarded as core skills. So how do our respondents regard the relative importance of different digital skills? The spread of responses demonstrates how broad the scope of digital teams are in the organizations surveyed. Some of the qualitative responses noted that this is reflective of the organization’s need at a particular point in time, its priorities, as well as the capacity and competence of the other departments to support digital functions. Technical leadership–this points to the digital leader as having a wider role in guiding the organization (collaborating with other departments, getting buy-in from senior leaders and other managers) to make sensible decisions around the implementation of digital technologies and content, and developing the digital infrastructure. Content management and editorial—not only ranked as important, but the only skill that wasn’t scored as a low priority. This reflects the content focus of most of the digital teams we surveyed and points to teams having editorial ownership of, and managing, content delivery to the platforms they support. Data management and analysis—highlights the role of the digital team in helping to understand user behavior, to inform the design and development of compelling digital experiences, and to inform decisions around organizational investment. Social media—given social media is also one of the high priority functions for a digital team, it comes as no surprise that it is also considered a vital skill. Product management—though not adopted by all organizations, product management is a growing area. Digital teams are recognizing the need to have a sustainable roadmap for each of their products, rather than risking a project mentality which doesn’t always allow for long-term support and development. Three of the most important skills identified above map onto the top most likely functions for the digital team: content management and editorial, technical leadership, and social media. It’s natural for us to see a correlation between these two datasets, given the importance, in any team, of resourcing business functions with the requisite skills. The two highest priority skills to develop on any digital team are technical leadership and data management and analysis. It is interesting to examine the crossover between the most important skills above, and the most underrepresented skills identified in the previous section. The data point to a worrying trend—respondents clearly see the importance of technical leadership and data analysis, yet they are also among the most underrepresented. On the other hand, content management and editorial, product management, and social media skills are all relatively well represented on most digital teams. Organizations must seriously consider their skills in technical leadership and current provisions for data management and analysis to get the most from their digital investment. This might well involve drawing on expert advice externally (from consultants and other organizations with strong technical leadership and data skills) to develop these competencies. They should also be investing in the technical proficiency and data literacy of the entire workforce. It’s important, though, not to forget the continuous need to invest in core competencies around content and product development and social media. Leaders need to be thinking to the future, developing skills in newer platforms, such as 3D scanning and modeling, augmented reality, and artificial intelligence. We wanted to understand how well the organizations we surveyed resource their digital operation. Perhaps unsurprisingly, the majority of respondents (72%) don’t believe that their budgets are large enough relative to their organization’s ambitions. A mere 17% feel their budgets are enough to serve their digital ambitions, and 10% aren’t sure. We hope this last statistic points to devolved scenarios where the respondent might not be a budget holder, and not to a lack of financial transparency. Clearly, the budgets aren’t large enough—but what size are they? The majority (71%) rely (at least occasionally) on sponsorship. Also, due to annual fluctuations in public funding, event-specific programs (e.g. centenaries) and special or capital projects, some of these budgets may change year-to-year. Is the budget big enough? 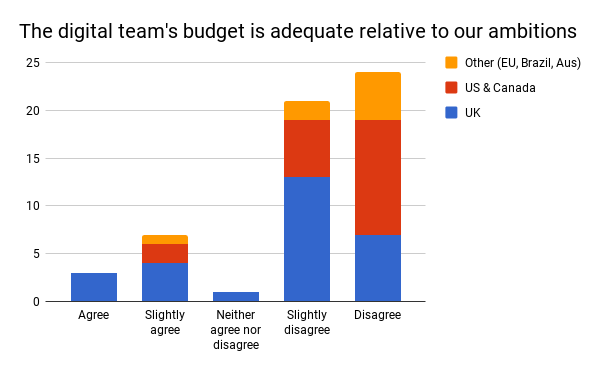 Half our respondents disagreed with the statement “The digital team’s budget is adequate relative to our ambitions” (the most popular response to any of our statements). This rises to 78% when one includes those who slightly disagree. This question also had the fewest respondents remaining neutral (three responses). When viewing the data geographically, most of our UK respondents slightly disagreed with the statement, and most North American and “Other” respondents disagreed with the statement. This leads us to wonder whether the budgets are indeed too small or, dare we say, the ambition too great? Our hunch is the former—however, it’s important to consider how digital leaders define and manage expectation within their organizations. Budgets are not large enough to serve our organizations’ digital ambitions. Digital leaders need to articulate and evidence the need for continuous investment in digital and infrastructure while managing organizational expectations of what can, realistically, be achieved. There is, for some, a high degree of dependency on financing from one-off capital projects in order to achieve digital objectives. Capital projects will always be an important part of the funding mix, but a reliance on capital projects can risk under-investment in core infrastructure. Ask anyone whether they feel they are adequately remunerated for their work, and it’s likely they’ll disagree. Our survey was no different, with 60% disagreeing or slightly disagreeing with the statement. But, on the positive side, nearly 26% agree or slightly agree that they are adequately remunerated. Remuneration is currently a hot topic in the cultural sector and, for some potential applicants, pay could be a barrier to joining the organization. Organizations should consider a blended mix of core funding and sponsorship to deliver different types of projects. There are some fundamental areas in which the digital team should invest its core budget, such as digital infrastructure. The need for resourcing of non-nore or specialist products should be backed up by a strong business case. Leaders need to use data to help quantify the return on investment in digital infrastructure. By modelling objectives against forecast KPIs, they are better able to put a value on digital investment and manage expectation. Organizations need to reflect on their appetite for adequately remunerating their digital teams, and for remuneration to be at a level that attracts a talented team. I think it’s important to understand that “digital” is a way of delivering the organization’s mission, not a mission in itself. Naturally, the organizations we surveyed had very different definitions of success. Many respondents defined success as increasing digital reach (building a website, social and subscriber bases), and deepening engagement with their audiences. Very few had criteria for specific commercial goals, and some only defined success and related metrics within distinct projects or products. Some also mentioned digital transformation goals that define what digital success looks like internally. Disappointingly, less than half of all respondents agree (19%) or slightly agree (29%) with the statement “We have a clear and agreed set of criteria that we use to prioritize our work.” And over a quarter (28%) disagree or slightly disagree that they use criteria to prioritize their workloads. Only 10% of respondents agree with the statement “We have well-defined success criteria for digital activity and product development.” And just over half our respondents disagree or slightly disagree with the statement (52%). Most respondents (40%) slightly agree with the statement “We use data to inform product and service development within my organisation.” We note the hesitation here; so why aren’t the majority agreeing with this statement? It’s likely that this stems from data management/analysis being the most underrepresented skill among almost 60% of the organizations surveyed (see section 6). In our survey responses, there were a relatively low number of well defined visions for digital success. It appears that organizations are not always taking time to define what digital success looks like. And, if they are, they are not necessarily communicating this vision across the organization. The focus for many organizations is on digital engagement and increasing digital reach; for some, it is business transformation; and a few had specific commercial goals that contributed to their definition of digital success. Alarmingly, even with a vision for digital success, most teams don’t have a shared set of criteria to measure that success and to help prioritize their work; and, even if they do have them, most aren’t measuring against objectives. For most organizations, there is more work to be done in defining and communicating criteria to plan and prioritize digital activity, and to measure success. Several of our respondents revealed their KPIs are focussed on so called vanity metrics (for example visits) and are not convinced that this is the best way to understand if they’re delivering against organizational goals. Some, however, have KPIs that are embedded in the organization’s strategy. More digitally mature organizations have KPIs that are much more ambitious—not just measuring website sessions or growth, but more qualitative measures around satisfaction, for example. Digital leaders need to ensure that they and their teams are confident in understanding how to define success criteria. They need to think about how digital can help drive audience engagement, distribute knowledge and research, deliver against commercial goals, and accelerate transformation across the organization. They also need to understand how to measure against their targets. For this, they will need to build up data analysis skills across the team and consider having dedicated data analysis resource (a skill currently underrepresented in the teams we surveyed). In the meantime, leaders should consider bringing in freelance support. At all costs, they must avoid operating in a data void. Teams must map priority areas that will help them achieve digital success (however they choose to define it) with KPIs for each area, to better understand how each is delivering digital impact. In defining digital success, teams must focus on outcomes (rather than outputs) with goals that are measurable. They must be transparent on how they are progressing against the success criteria. We were encouraged to see the positive response to the statement “We have an appetite for risk and are prepared to fail,” with most respondents saying they slightly agree or agree (66%), and only a quarter saying they slightly disagree or disagree. We hope this points to a growing organizational confidence in digital activity. There were mixed responses to the statement “There is clear accountability for digital activity and product development within my organization,” with most either slightly disagreeing (29%) or slightly agreeing (26%). This is, perhaps, related to the fact that almost a quarter of organizations are not measuring against their targets, and a fifth aren’t sure. It is difficult to have accountability without well-defined targets and KPIs with measures in place. While over half agree or slightly agree that digital is valued within their organization, only 9% agree that digital is understood within their organization (with a fairly even spread across the remaining responses). This shows that, for most, there is still more work in raising the organization-wide understanding of digital activity and a ongoing need to demonstrate the value of digital investment. Over half our respondents (53%) slightly agree or agree with the statement “The leadership team champion the role and value of digital within the organization,” which is mildly reassuring , but we believe should be much higher. Over a quarter (28%) decided to remain neutral. We believe there is still work to be done here and, in any future surveys, we would hope to see more signs of strong digital advocacy among all leadership teams. Most respondents are feeling confident about the digital future of their organizations as most respondents (83%) are neutral, slightly agree, or agree with the statement. Hire a good digital leader, someone who understands the day to day needs of the organization, who keeps the team motivated and ensures digital is a priority across the organization. Get senior buy-in, by identifying and bridging any fundamental gaps in understanding between the management team and the teams responsible for delivering the digital offer. Demonstrate that digital activity is driving business results to help deepen organizational trust, buy-in, and investment. Collaborate and communicate to build good working relationships across the organization. Share the results of digital development early and often with absolute transparency. Agile ceremonies such as end of sprint showcases or demos can help stakeholders understand and input into digital product development. Ensure that colleagues understand the vision for digital activity and develop a shared language for digital and its role. Build digital literacy across the organization, investing in training for staff who support digital activity. Be brave. Be prepared to try new things, seize an opportunity, and to make mistakes. Be prepared to pivot—to change or stop projects that aren’t working, or restructure roles and teams if they’re not getting results. Be you. Understand what is unique about your organization and how digital can support it—don’t blindly follow what others are doing if it doesn’t work for you. During our research, there were points at which we wondered if we had bitten off more than we could chew. But some really important themes have emerged from our research, so chew we must. We therefore thought it useful to include here a discussion to explore these themes, namely the digital maturity model, digital team structure, its location and size, how best to align for success, budgets, and the digital skills needed now and in the future. We believe the structure of a digital team, or digital responsibility, is an indicator of the level of digital maturity of an organization. Below, we have mapped digital team models (from decentralized to holistic) to Forrester’s four segments of digital maturity. There is evidence to suggest that digital will have even greater impact in the later segments of digital maturity. 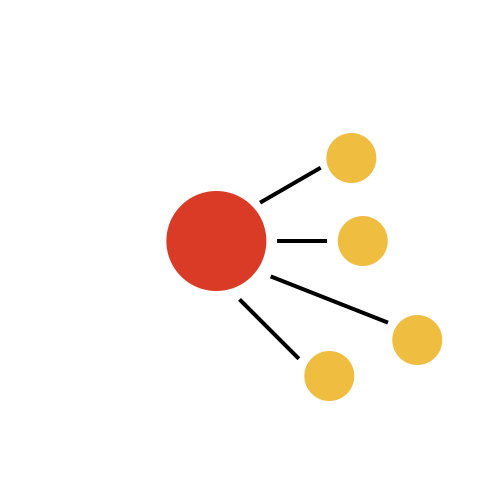 For example, Nesta (2017) states that those organizations reporting low levels of positive impact from digital tend to use a centralized or distributed model rather than a hub and spoke or holistic model, where digital is more widely distributed across the organization. It is important to note that terms like “distributed” and “devolved” can mask the very different scenarios in a skeptic organization with a more loosely assembled, decentralized digital team in its digital infancy, versus a more intentional, highly organized hub and spoke or holistic model. Vicars-Harris’s (2016) and Tallon’s (2017) research also confirms the aspiration of most organizations in their respective surveys to move towards digital being embedded across the organization. We would concur, and add an additional nuance here, by suggesting that there isn’t a jump from a centralized to a devolved model. Rather, there is a two step process from centralized, namely via a hub and spoke model to a genuinely holistic scenario, which none of our survey respondents have yet achieved. Those that are willing to invest more in, and experiment with digital are seeing higher levels of digital maturity, and moving towards “differentiator” status. Nesta (2017) concluded that organizations that are prepared to experiment or take risks with digital technology are more likely to report higher levels of positive impact (and are involved in more complex forms of creative output and distribution). This is validated by our research: by articulating the digital ambition and committing to long-term digital investment, the organizations we surveyed are seeing gains in audience reach and income. We noted also a willingness to try new things, and to disrupt the organizational culture beyond the digital teams in the organization. It is a virtuous circle: the appetite for innovation is higher among those that invest more in digital, who are therefore seeing better results. During our research, it has become clear that the structure of the team within the business is tightly related to the digital maturity model. Most digital leaders understand that their teams are part of a process—a shifting culture—rather than a permanent structural fixture within their organizations. Gathering digital resources in one location is probably the right business decision at a given moment in time. There are, after all, merits in having a highly centralized team. Centralizing digital provision will ensure that the organization has a focussed digital vision—it gives leadership a point of accountability, and enables the team to develop a new culture within a (most likely) traditional organization. This culture is one of driving a user-centered design process, challenging assumptions, and using iterative (Agile) development techniques. 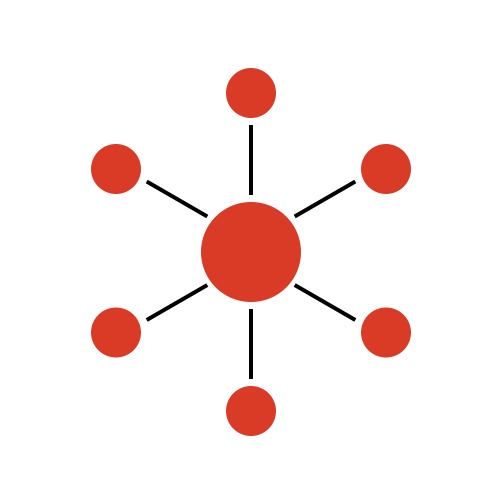 This marks the move towards a hub and spoke model, where some of the more experimental work may be handled by entities such as an innovation lab, like SFMOMA’s Lab which was established “in the spirit of experimentation, exploration, and the freedom to fail…”(https://www.sfmoma.org/series/sfmoma-lab/). From growing organically to form decentralized teams in the late 1990s, through highly centralized models in the noughties, to the innovation labs of the early 2010s (and earlier), it’s clear that many organizations are now considering how best to embark on the next stage of digital maturity. Most of the larger organizations interviewed are well on their way to devolving some of their digital responsibility. This shift, however, is approached with caution: a highly decentralized digital team can lead to a loss of strategic alignment and quality control. A successful shift to a different structure requires mature processes, a high degree of digital literacy, a strong cross-departmental vision, and solid alignment around business goals and objectives. Smaller organizations might struggle to follow each step of the digital maturity journey—a centralized or hub and spoke model might require a level of resource that simply isn’t available. However, in moving from a decentralized to a holistic model, they will still need to consider how to address the potential blockers at each stage towards maturity. There are precedents: start up companies, for example, tend to be small, nimble and holistic. Small GLAMs need to think in the same way, while avoiding the “secretly awful culture” perpetuated by some in the start up world (Byrne, 2013). Several of our respondents thought we may see a hybrid approach emerging; a more outsourced model where digital experts within the organization collaborate with outside partners. Some functions, such as social media and content production, are more easily dispersed across the organization. But some specialist functions, such as product development, are still likely to exist in small central teams. In this sense digital will never be purely horizontally dispersed but, even in the most mature segments, digital expertise will also continue to exist in vertical teams. A more distributed model of digital is reliant on better product-centered thinking, which, though more distributed across the organization, is still likely to be championed by a central product development team. Some degree of centralization is therefore likely to continue around the digital development function. Think of this scenario as one of the larger red dots on the holistic model. Our question “So, where should the digital team sit?” reveals the authors’ bias, as it assumes a centralized model (both authors oversee centralized and hub and spoke teams). Following our thesis, the digital team only “sits” somewhere when in segment two (centralized) and three (hub and spoke) of digital maturity (figure 16). The group of organizations that experience less impact from technology are less likely than the sector as a whole either to have senior management who are knowledgeable about digital or to distribute responsibility for digital widely across their organization. Location is always going to be hard to define for the complex range of activities and functions supported and driven by digital teams. Our respondents and interviewees touch on the tensions of moving from a highly centralized team towards a more devolved model, and the soft skills needed to make the transition. Regardless of the location of the team in the organization, or who it reports to, the emphasis should be on the appetite for digital success and whether the current structure of the digital team supports the ambition. Organizations should be asking themselves, “do we want to be a differentiator?” And, if so, do we have the necessary will and investment to make it happen? On embarking on this research, we wondered if it might be possible to determine the optimum size of the team relative to the size of the organization. However, it would be simplistic to suggest a particular ratio. With the right motivation, processes, and support, smaller teams can deliver more efficiently than large. The optimal size is most likely to be determined by the functions overseen by a digital team. Those that involve digitization, CRM (customer relationship management), or e-commerce functions will require dedicated roles with specialist skills, which will naturally increase the size of the team. Some organizations have been criticized for the size of their digital teams, but large centralized teams are likely to cover a range of complex activity, not just content and social. In fact, when comparing the size of the digital team to that of the organization and considering its remit, quite the opposite may be true. For example, The Met Museum has around 50 people in its digital team, which is quite reasonable considering its overall size, its collections, and the scope of the department (it has responsibility for digitization and the collections management systems). If the size of a digital team is determined by its remit and the organization’s ambition, then leaders must make the business case to ensure that the team is properly resourced. Our survey suggests many cultural organizations in the skeptic and adopter segments are having trouble reaching the next level of digital maturity. Even where there is organizational willingness, committing to new roles and teams over the medium- to long-term is a financial challenge, as turnover of staff is often low and revenue funding is sparse. This leads to some very difficult decisions over prioritization of functions and services. And remember, size does not always matter. So what does digital success look like for the different institutions in our survey? The answer to this question revealed a lack of well-defined visions for success among the organizations we surveyed. And where they do exist, these visions are not necessarily well communicated and understood by the whole team. However, many of our respondents cited audience engagement and increasing digital reach as key goals for digital. Some were also driving organizational change through digital transformation, improving business processes, and infrastructure. For many, digital was a powerful tool in distributing knowledge and research, and in building brand awareness. And some—surprisingly few—had commercial goals for digital. For some, success was defined as getting a project completed, rather than ongoing measurement to understand how products are delivering against business and user goals. A project-based mentality will hinder organizations from moving beyond project metrics. It is vital we all understand how digital is supporting the wider organizational mission, and how to measure broader digital impact. Digital maturity can only be achieved when the digital vision is aligned with the business. Those with the clearest definitions of success had aligned their digital objectives around those of the organization, and were focussed on outcomes (rather than outputs), with measurable, well-defined goals. However, we believe that many organizations are not ambitious enough in their definitions of what digital success looks like. For the most digitally mature organizations, this will be defined beyond engagement metrics. However, defining and measuring the success of a digital transformation program is complex—far more complex, for example, than tracking social media shares. Data should help inform decisions around work priorities (which, in turn, should be informed by organizational mission and goals), though there will inevitably be areas that are far harder to measure through data alone. This is a clear challenge for many digital leaders, who must look to demonstrate that digital activity is driving business results to get buy-in across the organization. So how does each organization judge the success of digital? Setting clear objectives with achievable, measurable goals can help organizations increase their digital competence. Our survey, however, revealed that many organizations have not set KPIs to measure progress against goals, or teams are unaware if they exist. Frustratingly, even if KPIs are in place, teams aren’t necessarily measuring progress against their objectives. A key responsibility for digital leaders is to clearly define success criteria, and identify how they will be measured. It is vital for them to share progress with the organization—good or bad—in order to understand which products and activity are meeting business goals and delivering digital impact. In setting objectives, organizations need to have bold visions and be brave in executing them. And to be a differentiator, organizations need to, as Forrester puts it, leverage data to create customer obsession. Remember that success is moving a metric or improving an experience for customers, not just making a change. Our research reveals that budgets are not large enough to serve our organizations’ digital ambitions. This supports Nesta’s (2017) evidence that a lack of funds and lack of staff time remain the most significant barriers to organizations achieving their digital aspirations. There are risks inherent in relying on capital investment projects to subsidise digital activity. Without adequate revenue to invest in ongoing digital development, attention and effort will constantly be pulled in the direction of highly visible digital initiatives that might be more opportunistic than they are strategic. It is therefore vital for digital leaders to make the case for continuous (rather than continual) investment in digital activity and infrastructure. At the same time, they need to manage organizational expectations of what is realistic with existing budgets, as well as with future budgets. Our most significant finding was that, despite being cited among the most important skills, technical leadership and data management and analysis are the most underrepresented skills on digital teams. GLAMs are operating within an increasingly data-driven world yet are not investing in the data skills they so clearly need. Neither are they adequately investing in technical leadership, despite the evolving digital landscape. Many organizations are faced with a sometimes bewildering array of systems that all too often are part of a fragmented, undocumented technical architecture. The housekeeping element of any digital team’s work should not be underestimated; there is often considerable technical debt to manage. (This is one reason that an in-house development team makes sense.) Moving an organization on from a stagnant architecture draws on genuine technical leadership, with soft skills to match. It can be a daunting portfolio to take on. Though content, product management, and social media skills are all relatively well represented on most digital teams, it’s important to remember the need to continuously invest in these core competencies. The teams that are most successful are teams where content and technical people are able to share a language and vision, and to deepen understanding of one another’s work. Leaders need to be thinking about the future skills needed to support emerging technologies. Given the ongoing need for specialist skills, it’s likely that organizations will continue to have some form of digital hub for the foreseeable future, most likely centered on areas such as product development. Though the focus here is on skills, what we’re really talking about here is people. Though there have been various studies of digital team structures and remits in the GLAM sector, there hasn’t yet been a survey that covers a range of different types of organizations from different parts of the globe. Half our responses were from museums, yet the insights we derived have relevance across the GLAM sector. 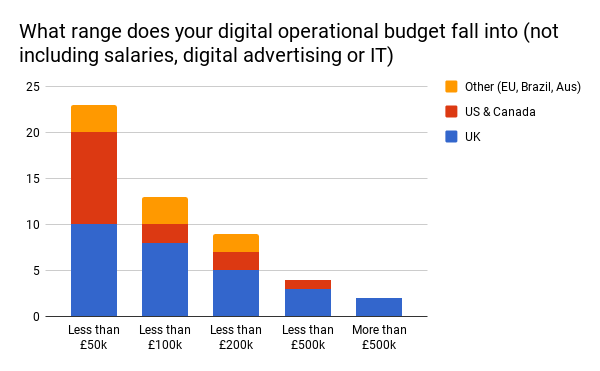 Since our research has involved a relatively small sample size, we do not suggest that these results are conclusive, but rather indicative of the current state of digital affairs in the sector. And, unlike other studies, we have provided practical advice from ourselves and from the sector, that should be of use not only to skeptics and adopters, but also to the more digitally mature. While often rather fuzzily defined, digital success for most of the organizations we surveyed involved increasing digital reach and deepening engagement with audiences. Success also rested on sharing knowledge and providing better access to collections and archives. Many organizations are also looking at driving digital impact internally, having embarked on long-term digital transformation programs. However, we were surprised by how little detail was provided on digital supporting commercial goals. We heard little about digital success being defined around goals for driving up attendance of events, for example, or in increasing membership and donations, or sales of merchandise. While there isn’t a commercial imperative for all GLAM organizations, there is clearly more work to do in defining and measuring digital success, and in ensuring that visitors’ and customers’ needs are at the heart of digital products and services. We believe that digital maturity models, such as Forrester’s Digital Maturity Model 5.0 (Forrester, 2017) are an important lens through which to look at how GLAM organizations are aligning for digital success. We have mapped digital team structures against the four segments in Forrester’s model (figure 16). This is because we think there is value, not just in understanding the steps needed on the journey towards digital maturity, but in aligning these to the different digital team structures that best support each segment. This provides a clear steer to digital leaders towards the structures needed to deliver on each segment of digital maturity, and identifies some of the blockers they might encounter. None of the GLAM organizations we surveyed have genuinely reached the final segment of digital maturity. This does not surprise us given the need for better defined visions for digital success. Our survey results suggest that many GLAMs are still in the adopter segment because they are yet to invest in core skills and infrastructure: it is vital we do not just pay lip service to their importance. This verifies the Nesta (2017) finding that despite increases in the importance of digital in supporting business models, it’s still an area where the majority of organizations feel they only have basic skills compared to their peers. None of us will embrace full digital maturity and use digital media to differentiate our offer until we are better able to leverage data and invest in technical leadership. We will only become differentiators by using data and insights to inform strategy. We need to remunerate our staff properly and be able to attract a talented workforce. We must adequately fund digital activity and infrastructure, in line with our organizational ambitions—again, a need also observed by Nesta (2017). However, once we’re able to do so, we as GLAMs are at a distinct advantage. A key marker for digital maturity, according to Forrester, is the ability to “blend the digital and physical worlds.” Differentiators think more holistically about how people engage with the various organizational touch points (whether digital or physical), from staff to websites, and from printed materials to social media content. They apply user experience principles to create a better visitor experience—online and in our buildings. They use digital to enhance and augment physical encounters in and with our staff, collections, archives, and events. We see a very positive digital future for GLAMs. What other organizations are able to draw from such a rich source of content? What other sector is so well placed to use technology to unlock the stories within our institutions and collections, reaching new audiences as we do so? We were thrilled to have such interest from the GLAM sector in participating in our research, and are reminded again of how generous our peers are in sharing their digital dos and don’ts. We’d like to thank them, and to encourage them to keep documenting and discussing the highs and lows of their journeys toward digital maturity. It soon became apparent that this research has the potential to grow. We would love to run this survey again, drawing in a larger range of responses from across the globe. But first we’d like to hear what readers would find most useful—for example, if we were to focus on particular types of institutions or specific areas of the cultural sector. We are very mindful of the fact that libraries have very different needs to performing arts organizations or galleries, for example. We would explore ways to segment team functions against different types of organization, as this would reveal particular needs for each type of institution. We would like to survey not just those working within digital teams, but gather responses from other departments in the organizations we survey. We didn’t, on this occasion, ask if the respondents were responsible for digital, however we assume that the majority were. It will be interesting to see how non-digital staff respond to questions around the location of digital, and the key functions that should be overseen by a digital team, for example. For our research we have used the Forrester Digital Maturity Model 5.0, but we feel there is an exciting opportunity to develop a new digital maturity model for the GLAM sector that involves mapping maturity segments against team structures, which we have begun to explore here. We would like to provide tools to enable GLAM organizations to identify where they are in their journey towards digital maturity, and to help them tackle the blockers and unlock the drivers for digital success. Do get in touch if you’d like to discuss! Thank you to the 58 respondents to our survey for being so candid in sharing your insights and advice. Thanks to all our interviewees, who helped provide deeper insights into emerging trends. Special thanks to Chris Unitt for spreading the word, mulling some of our data conundrums, and for much needed clarity; to Danny Birchall for providing a sanity check; and also to Loic Tallon and Oliver Vicars-Harris for sharing their benchmarking studies, which provided a foundation for our research. Vicars-Harris, O. (2016). “Digital Positioning & Resourcing in Museums.” Unpublished report. Consulted December 22, 2017. Digital–Apologies for using digital as a noun. It’s an affliction which doesn’t just affect our sector. If and when we do this we usually mean digital activity or digital media. But we might also mean digital channels, platforms, technologies—or any of the many guises of digital media. Digital teams—Sometimes we use “digital teams” as a short-hand for all digital folk working in museums in any one of the models we outline in the Background section. GLAM—For those that aren’t familiar with the acronym, GLAM is a shorthand for galleries, libraries, archives, and museums. It’s a suitable catch-all for our survey, but our respondents cover performing arts, heritage bodies, and more. Respondent and interviewees—You’ll notice we speak of respondents and interviewees. Respondents refers to those that completed our survey, interviewees were those we followed up with in depth interviews. Development—When we refer to “development,” we mean software engineering rather than fundraising. Learning—We use this term to reference a Learning or Education department. Alongside desk research, we embarked on some primary research to generate the data. This comprised an online survey and a series of in-depth interviews, conducted via e-mail. 58 people from 56 institutions responded to our survey. 64% of responses were from museums, 8.6% from libraries, and 8.6% from performing arts venues. This is likely due to the authors’ bias, since we both work in museums, and our network is weighted more towards museums than other cultural sector bodies, such as libraries, performing arts venues, historic buildings, and so on. 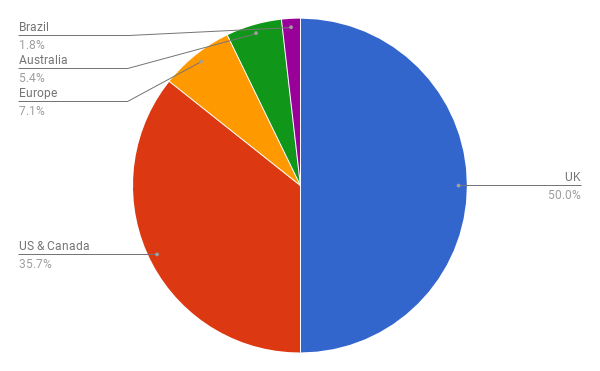 However, our social media activity drew in healthy numbers for the survey. We know this response (56 institutions) is not likely to have statistical significance, but instead shows us some interesting trends for further exploration. It would be difficult to determine what a statistically significant volume of responses would be given the variety of types of organizations to respond and the difficulties in quantifying the number of GLAM organizations that exist worldwide. This is why we designed the research to include a series of in-depth interviews, which were based on some of the trends we observed from the survey data. In September 2017, Arts Council England and Nesta (2017) published Digital Culture 2017, the fourth in a major longitudinal study of arts and cultural organizations’ usage of technology in England from 2013-2017. The survey charts trends in this area, detailing technology usage and impact among 1,424 arts and culture organizations across England. The survey includes some interesting detail on the importance of digital technology to various business areas: marketing; preserving and archiving; operations; distribution and exhibition; creation; and business models. Larger organizations (defined by their annual turnover) tend to put more importance on digital technology across all areas. For example, 74% of those with a turnover above £500,000 see digital technology as important or essential to business models, compared to 53% overall. Those that remain least likely to say digital is important or essential to business models are small heritage organizations (29% in 2017). There have been increases in key activity areas related to business models, consistent with the rise in the perceived importance of digital—for example, organizations undertaking ticket sales online are up 10% to 52% since 2013. Almost 70% of organisations report a major positive impact from digital technology on their ability to deliver their mission. There has been a significant increase in the proportion of organizations reporting a major positive impact in relation to audiences. Organizations that say they experiment or take risks with digital technology are more likely to engage in complex activities and report higher levels of positive impact, particularly on their creative output, distribution, and exhibition. The cohort that ascribes the most importance to technology, (8% of the sample), is more digitally active than the sector as a whole, and more likely to be carrying out complex creation and distribution activities. However, the gap between this group and the whole sector seems to be narrowing. However, there are significant declines in seven of the 23 activity areas monitored, including many marketing-related activities, such as e-mail marketing and publishing to a website (for which social media marketing is a potential substitute). Lack of funds and lack of staff time remain the most reported barriers to organizations achieving their digital aspirations, although there has been a statistically significant fall in the proportion of organizations who say that lack of funding to allocate to digital is a barrier (from 68% to 62%), and that difficulty in accessing external funding is a barrier (from 61% to 55%). The majority of arts and cultural organizations still do not use data for important purposes such as understanding their audiences better through data analysis and profiling. Despite continued increases in how important and impactful digital is becoming for business models, this is still an area where the majority of organizations feel that they only have basic skills compared to their peers (55% claiming basic skills). Data analysis is the only skills area where significantly more organizations feel “well-served” now compared to 2013 (34% versus 29%). The 27% of organizations reporting low levels of positive impact from digital tend to undertake fewer digital activities on average, especially in complex areas such as VR or live streaming. They tend to have digital expertise concentrated in one place rather than distributed widely through the organization, and they report lower levels of digital skills. In facing some of the challenges in the adoption of digital, some leaders are considering how they set out to improve their digital maturity, and embracing ways to integrate digital activity across their organization. In fact, many are already on this journey, but need to consider how this looks in practice, and the impact of distributing the responsibility of digital work. In his 2017 paper, “Digital Is More Than a Department, It Is a Collective Responsibility” (https://medium.com/@loictallon/digital-is-more-than-a-department-it-is-a-collective-responsibility-786cdf816d12), Loic Tallon (Chief Digital Officer, The Metropolitan Museum of Art, USA) explores the conflict within cultural institutions to either invest in the central digital team to meet demands, or cultivate a more distributed digital competence. His research also compares the activity, naming convention and reporting lines of the digital department at The Met with 12 other art museums in the US. Tallon (2017) considers “Digital” as a horizontal (as opposed to vertical), suggesting that those departments with a high digital literacy can enable other staff across the organization to adapt. This is already true in some museums, as the scope of each digital department in Tallon’s study vary considerably; non-digital departments already have ownership of purely digital functions such as social media. This leads us to assume that the role of the Chief Digital Officer extends beyond the boundaries of their department to advance digital competence across the organization. There is no standard approach to structuring digital resources in an organization and assigning roles to them, even in a very small sector (art museums in the USA). This may be partly organic, due to the evolving nature of technology and content, but also due to the varying strategies of the organizations based on their mission. Centralizing a digital team allows an organization to focus its digital resources on a large-scale project or product. However, this can lead to the digital resource working in a silo. The role of the digital department is cultural, not necessarily structural—and it may be short-lived. In embedding digital across the organization, other departments need to accept that all existing practices must be scrutinized and questioned. This means operating in an environment which encourages agility and actively embraces discomfort. Cultural sector consultant Oliver Vicars-Harris undertook a similar benchmarking study (Vicars-Harris, 2016) when he was commissioned by a UK national museum to help inform the implementation of its digital strategy in March 2016. This benchmarking study surveyed seven UK national museums, who agreed for the results to be kept in confidence. The study considered four key areas: positioning of digital, resourcing, responsibilities, and a SWOT analysis for each organization. This framing is a useful lens through which to consider any organization’s digital provision. Not all of the seven organizations in the study had reached digital maturity, let alone a post-digital state. Having a place on the executive makes an important difference in terms of positioning and visibility of digital in the organization. However, in cases where they don’t, it matters less which divisional executive a digital team reports into, and more on the executives’ level of digital understanding and advocacy. Each organization has its own particular governance structures and meeting processes in place to manage digital, and these need to adapt and change over time as the organization evolves in terms of its digital maturity. Whatever it might be called, most organizations still have a distinct “digital” team in place, though they differ considerably in terms of their makeup. All the organizations surveyed have some form of digital management, content, and development roles in place, but some don’t yet have any in-house design or user experience skills, despite these being regarded as essential. Despite considerable progress having been made over the last few years in terms of the perception of digital, many organizations still retain some residue of the problem of digital being seen as a service department by others in the organization. This raises political barriers that need to be overcome as digital teams aim to drive the agenda in terms of development while calling on other teams to contribute content. The need to put a clear digital strategy in place was widely recognized as an important milestone, but seen as something important during the infancy stage followed by periodic updates during maturity. Ultimately the need for separate digital strategy should dissolve as it becomes woven into the overall organizational strategy. A common weakness was lack of adequate in-house staff resources, particularly in areas like design and user experience. There was also anxiety about the ability to retain good staff by being able to offer competitive salaries. Not surprisingly, one of the most common threats is financial, given the lack of necessary funds to invest, though this is offset in some cases by confidence around the potential for digital to bring about new funding opportunities. Price, Kati and James, Dafydd. "Structuring for digital success: A global survey of how museums and other cultural organizations resource, fund, and structure their digital teams and activity." MW18: MW 2018. Published January 31, 2018. Consulted .